Most people go about their business and daily grind without any issues, while others are subject to constant questionable violations. Most are able to mail simple packages worry-free and they have faith that their items will reach their destination whole and unhampered. 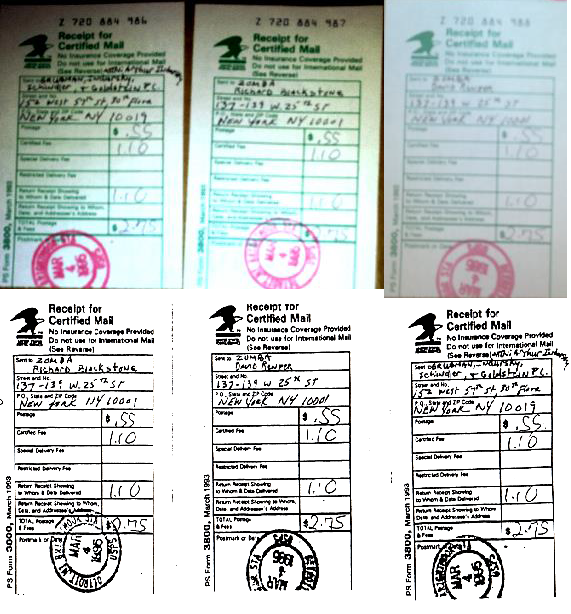 Well, I have definitely mentioned in previous posting that there have been issues with mail tampering but I guess since some find it easy to challenge the validity of previous claims since they were dated. In my opinion, it has become necessary to once again demonstrate that there are those who are and have been continually abusing their unwarranted access, positions and power to further hinder my efforts to obtain justice and resolution for continued allegations of corruption. 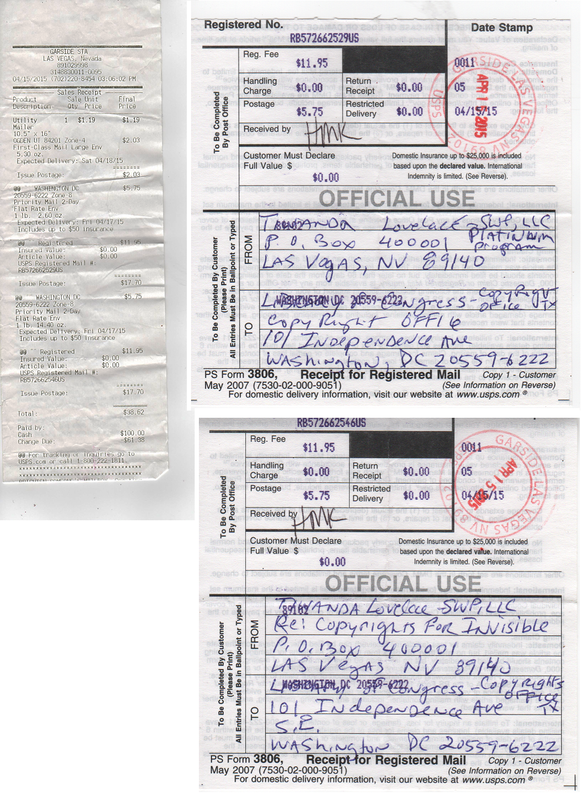 I RECENTLY DECIDED THAT I WILL CONTINUALLY, PERSIST WITH MY EFFORTS TO EXPOSE THE CONTINUED, DELIBERATE VIOLATIONS OF MY CIVIL RIGHTS, COPYRIGHT INFRINGEMENTS, AND MANY OTHER ILLEGAL ACTIVITIES, UNETHICAL BEHAVIOR AND MUCH MORE…I mailed very important a total of (4) four packages. 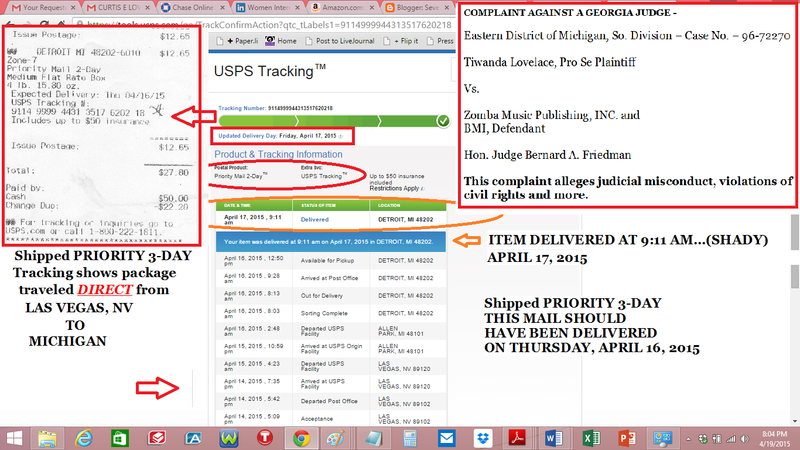 (2) two on April 14, 2015 and another (2) two on April 15, 2015… Please review package and tracking information below for proof of undeniably questionable mail tampering in 2015. 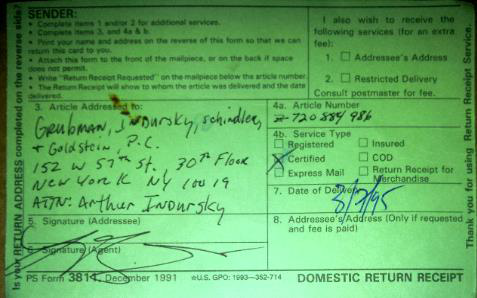 Although I have previously copyrighted materials in the past, I have never sent them REGISTERED and PRIORITY MAIL. 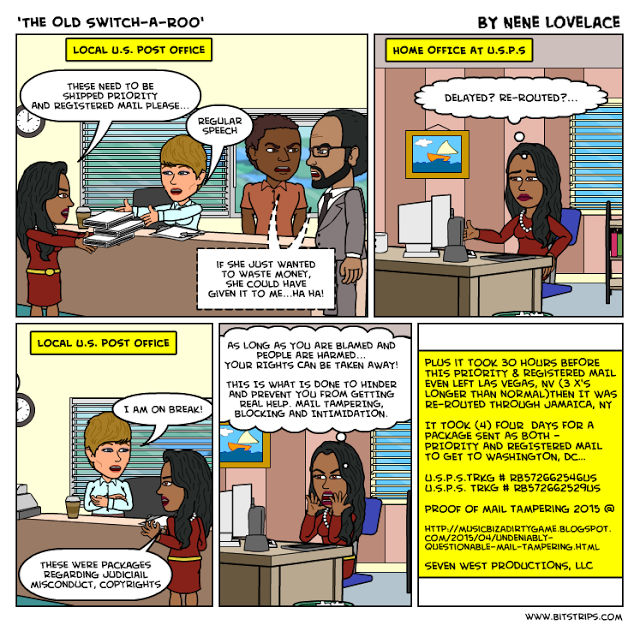 REGISTERED MAIL is a service offered by the United States Post Office that is supposed to guarantee security of your package by keeping your package under lock and key during transit. REGISTERED MAIL service also requires a signature of each postal worker that comes in contact with your package during delivery. This complaint alleges judicial misconduct and violations of civil right. AFTER 13 HOURS, THIS PRIORITY MAIL LEFT LAS VEGAS, NV. This complaint alleges judicial misconduct, courts ignoring violence, COURTS CLERKS hindering justice by manipulating, editing and mislabeling filings, violations of civil right failure to uphold the law. 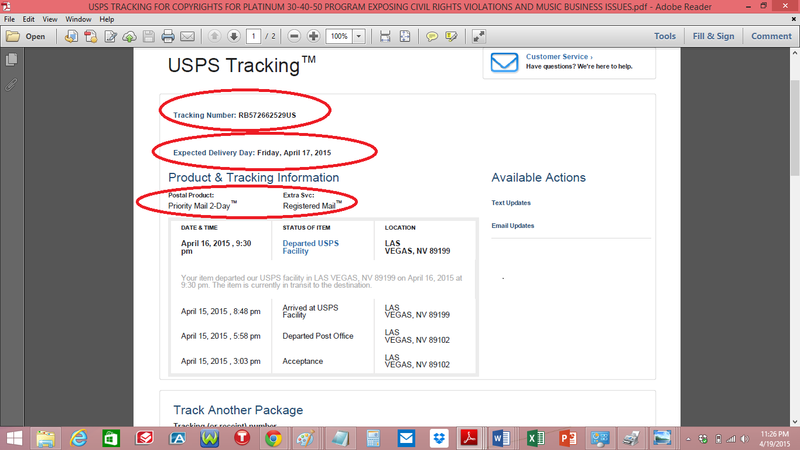 Shipped PRIORITY 3-DAY ON TUESDAY, APRIL 14, 2015 – ORIGINAL EXPECTED DELIVERY WAS APRIL 16, 2015 BUT WAS DELAYED 1 DAY. AFTER 13 HOURS, THIS PRIORITY MAIL FINALLY LEFT LAS VEGAS, NV. 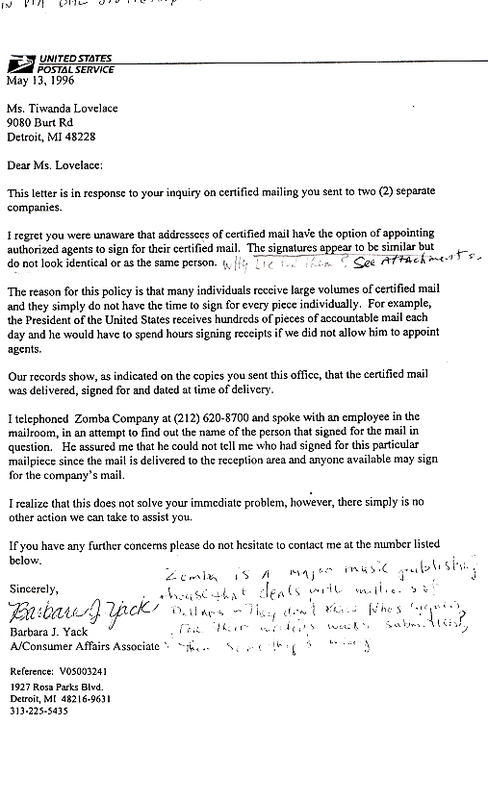 FRIDAY, APRIL 17, 2015 AND WHY WOULD IT BE NECESSARY TO RE-ROUTE THROUGH JAMAICA, NY…? 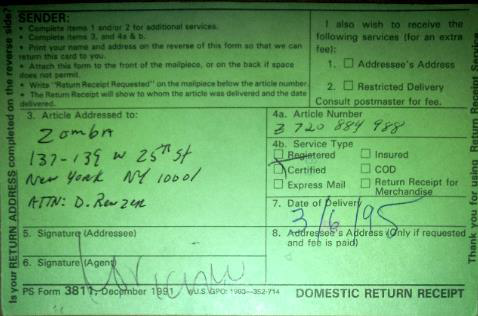 I understand that there are no deliveries on Saturday and Sunday, but clearly if it was not rerouted to Jamaica, New York…it would arrived on time FRIDAY, APRIL .17, 2015. 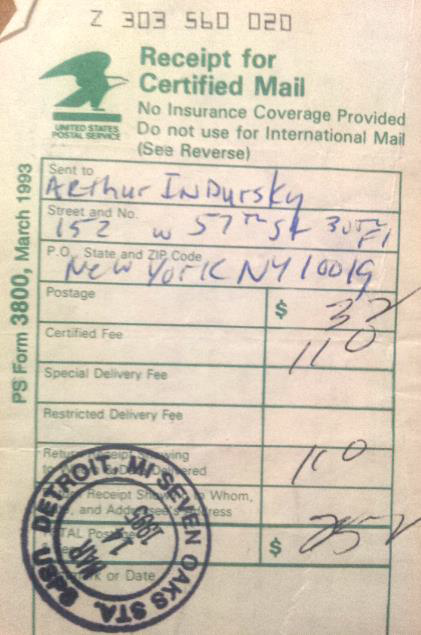 DELIVERY AND A DAY EARLIER. What are the odds that those 30 hours were used to manipulate submissions? Why else would these violations be allowed to continue, if not due to corruption and abuse. 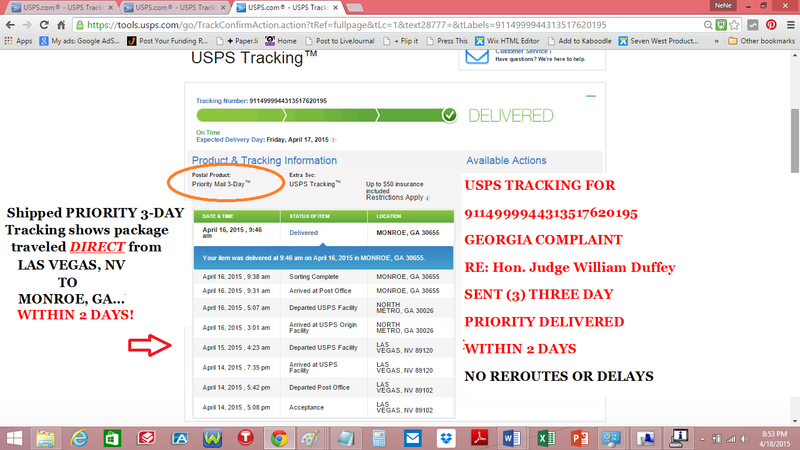 Again, who do you think would be able to delay mail that is supposed to be under lock and key? Is it a coincidence that the MAIL that is being sent and most likely ‘gutted’ would expose the most heinous of acts thrust upon individuals forced to live as outcast by those in positions of making a difference while the public scorns. With each attempt to obtain assistance or with each effort, I am faced with additional hardship or pressure to succumb due to lack of support and ostracism. 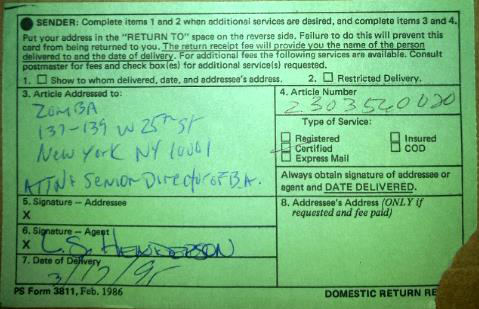 Each instance of hindering justice, ignoring and blocking resolution by mail tampering only continues to violate my civil rights. No one should be refused the same opportunities and rights guaranteed by the constitution to exercise these rights that are denied when mail that is being sent to proper officials. 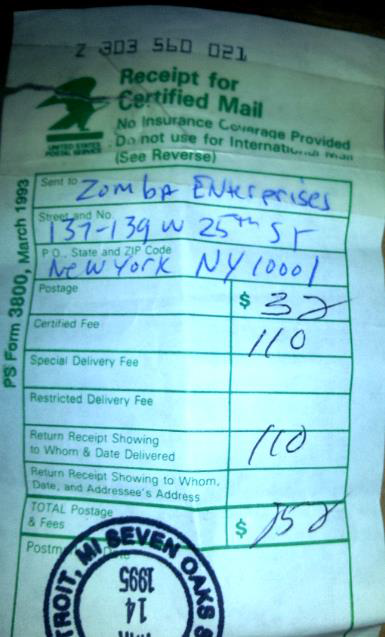 Note: All three were mailed at the same time. 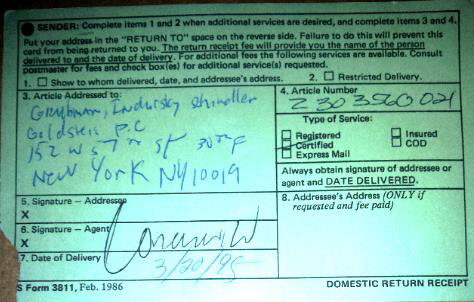 Upon receiving my returned signature cards for Certified Mail sent March 4,1995, I noticed that article # Z 720 884 987 and Z 720 884 988 were signed by the same person for Certified Mail article # Z 303 560 021 at a completely different zip code. 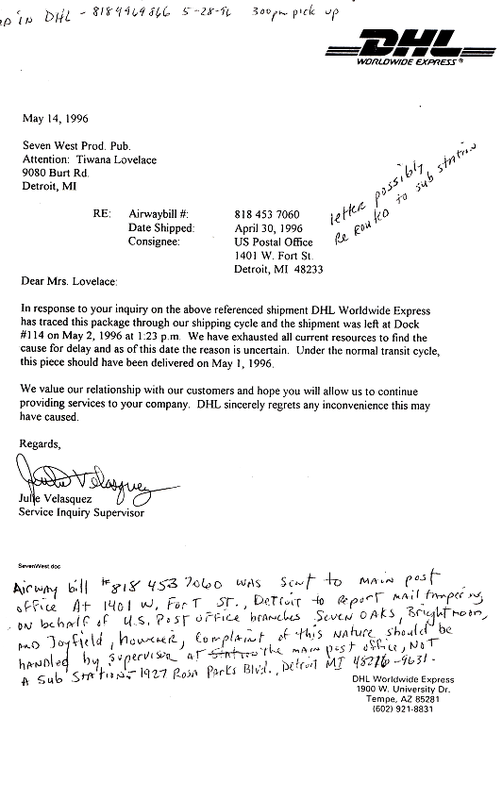 DHL airway Recipient Info. 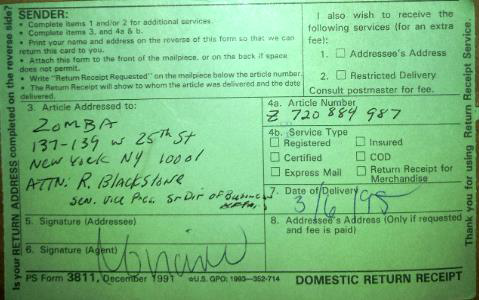 / Delivery date and signature of agent Bill no. Now, I can understand why it is so important for this information to remain hidden. If this was to be released, it would reflect poorly on each entity. It is probably because these are the same entities that are supposed to uphold and protect the rights of the people.